JUTO is primarily aimed at medical students and foundation year doctors, however, we welcome submissions from all healthcare professional. The Research, Education and Case Report sections require the supervision of senior co-authors to maintain standards. If you have a specific idea for a manuscript, please email and gain advice from the relevant section editor before you begin writing. This allows for early advice to see if your article is appropriate for the section. To be listed as an author, it is imperative that individuals meet at least one of the following criteria by contributing substantially to conception, acquisition and interpretation of statistical methods and data; drafting and/or revision the article, and having the authority to accept and forward the finalised manuscript. All authors must therefore have been involved in the synthesis of the manuscript and not solely in patient care. Individuals who have been involved in the care of the patients can be mentioned in the acknowledgements. All the details of relevant authors must be provided on the title page, which includes their name, title, place of work, address and the nature of their contribution towards the submitted manuscript. A competing interest exists when professional judgement concerning a primary interest (such as patients' welfare or the validity of research) may be influenced by a secondary interest (such as financial gain or personal rivalry). It may arise if the authors have received financial support. We will not reject cases simply because you have a competing interest, but we will make a declaration on whether you have competing interests. For all manuscripts please provide a statement describing any relevant interests of all authors on submission. e.g. "No competing interests to declare"
Most submissions are reviewed by two or more referees. For all articles, reviewers pay particular attention to clarity and brevity. The corresponding author will then receive an email from the editor informing them that their manuscript is accepted, rejected or requires revision. Once accepted, manuscripts are published in chronological order of acceptance, and the corresponding author will receive page proofs when publication is imminent. The Journal of Undergraduate Trauma and Orthopaedic Surgery will retain copyright of all published material and reserves the right to re-use any such material in any print and/or electronic format. Manuscript files should be DOC, DOCX, RTF or TXT files. Please use 3cm margins on A4 paper (210 x 297mm). If your manuscript includes graphs or tables please include these in the manuscript and also supply image files in your email. The first version of your submission will be sent for review. If you send in other parts at a later date, they will not be considered as part of your paper. Do not submit your paper more than once. If you are asked to make revisions, please upload your revised manuscript to you existing submission record. Please ensure your manuscript meets the word count and formatting requirements of the section you wish to submit it to. Manuscripts should follow the internationally recognised format as outlined by the International Committee of Medical Journal Editors (ICMJE). These guidelines may be found at http://www.icmje.org. Include the full title of the article and the names of all authors, together with their main appointment, department, and hospital/university address at the time. Word count, declaration of interests and previous communications (at meetings etc.) should also appear here. Reliable, permanent email addresses are required for all authors. This should be no more than 250 words and complete in itself and with the following subheadings: Introduction, Methods, Results and Conclusion (if appropriate). Randomised controlled trials should be identified as such in both the title and abstract. At the end give three to six key words, using medical subject headings from MeSH. This should be divided into Introduction, Method, Results, Discussion and Conclusion, with additional subheadings as appropriate. Include a word count, exclusive of abstract, reference lists, tables and legends. Tables, figures and images should appear in the article and should be referenced using brackets when mentioned in text, e.g (see Table 1). They should also be labelled appropriately. Use SI units and their recognised abbreviations (eg 10kg) for biochemical and biometric data, with the exception of blood pressure in mmHg and haemoglobin in g/dl. Avoid abbreviations. If they are needed they should be defined on their first appearance by using the word(s) for which they stand followed by the abbreviation in brackets. Use generic names for drugs unless a proprietary product is a key part of the study. Include the names and the source of any new or experimental preparation or instrument. These should be given in Vancouver style and numbered consecutively in the order of their appearance in the text. Use the abbreviated journal titles as given in the MEDLINE journals database. Personal communications or unpublished material referred to in the text should not be included in the reference list. These should be designed to present large amounts of numerical data clearly and concisely. Tables within MS Word or Excel documents are acceptable but please ensure that the table is presented exactly as you would like it to appear in the journal. If the material can be presented clearly in written form, a table may not be necessary. Manuscripts that use tables excessively may be returned for revision. Captions to all figures should be listed within the manuscript. Please embed images in the text and also include the original images in your submission. Figures will be published online so please ensure figures are as high a resolution as possible. Principles of Orthopaedics: A core orthopaedic topic is discussed with the article divided into Background, Anatomy, Presentation/Examination, Management and Discussion. Operative Guide: An overview of a particular operation with focus on the steps involved and the evidence behind it's efficacy. The article should be presented as Background, Steps, Evidence and Discussion. How To…: These articles may cover any aspect of trauma and orthopaedics from 'How to examine a knee' to 'How to interpret and MRI' or 'How to organise research'. Snapshot Quizzes: These articles might start with a radiograph or short scenario and stimulate discussion as to the best course of action. Discussion will then look at existing evidence for the management of the fracture or disease. Famous Figure, Technique or Paper: Biographies of famous figures or landmark concepts are welcomed highlighting their impact on orthopaedics today. Famous papers can also be focussed on, such as those relating to classification systems or key, and how they have been adapted over time. Please follow the below formatting guidelines for presenting your case report. The case may focus on a presentation, treatment or operative technique employed. The learning points are more important than the rarity of the case. author title and affiliations (e.g. year of study and name of medical school) with one author identified as the corresponding author. maximum number of authors is four. Up to 250 words, with subheadings: introduction, case presentation and conclusion. Why you think this case is important? Elective reports should be divided into the purpose of the trip, what you learned and what you would recommend to future students. Include pictures and the contact details for your host institution at the end of your report. If you have undertake a particular SSC or research project and would like to write up your experiences please contact the journal editor. The careers section also features reports on courses, conferences and interviews. These should include the location, date and price of the course and then cover format and personal opinion on it's usefulness. Views might include your experience in theatre for the first time or you might like to interview a patient or consultant to gain their personal opinions. 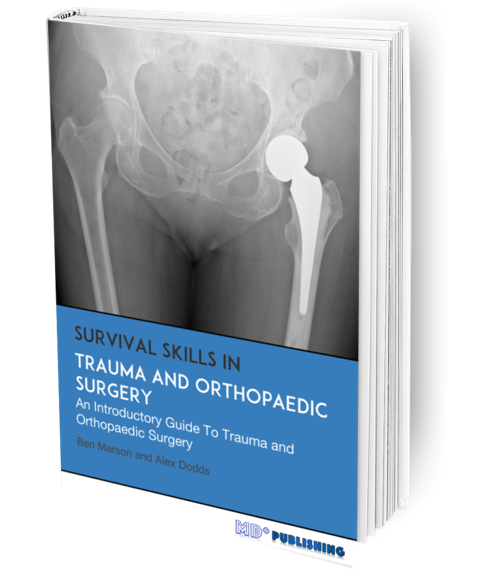 The section also accepts 500 word book reviews on orthopaedic texts, websites or iPhone apps. The submission has not been previously published, nor is it with another journal for consideration (or an explanation has been provided to the editor). A consent form must be signed by the patient or their guardian/relative for any images of the patient used in the manuscript, whether or not the patient is identifiable. This applies mainly to case reports using patient identifiable information. If your submission contains any previously published material, statements of permission from the original authors/publishers must be included with your submission. Any conflict of interest and/or financial support received must be declared upon submission. The manuscript is a DOC, DOCX, RTF or TXT file. The text uses a 12-point font; and employs italics rather than underlining (except with URL addresses). Illustrations, photographs and figures should be available as separate files (and embedded in the document) with appropriate legends. The cover page should be an integral part of your manuscript. It should contain the title of your article and complete details of all authors, including accurate contact information and email addresses. All files are attached to your email prior to sending to the editor.